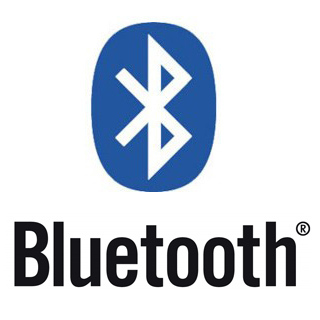 Bluetooth – How Far You Have Come! Every time I sit down and synch my ipad with my wireless keyboard, it never ceases to amaze me how simple the technology has become! Years ago, I worked in research and development of a large corporation that was always looking for the next opportunity. This was when laptops were still extremely expensive and few people actually owned their own cell phone. That is not to say folks didn’t use them, they were just incredibly expensive. In this land of long ago, yet no so far away, leading edge technology was the pager. Anyone old enough to remember those? I was a technologist specializing in support for very large databases (read that as anything approaching 1GB of data) and I carried a pager for every one of my customers. They paid the company well for this kind of service, but it wasn’t extraordinarily efficient, nor lucrative for me. I had what I called my utility belt so I could lug along all of these pagers everywhere I went. 24 x7, 365 days per year. It was interesting and the applications I supported were mission critical. As I look back now, it is interesting to think about those customers and where they have gone. Most of them have disappeared. Mergers and acquisitions in the industry gobbled up the assets and spat out the employees. I guess that is a sign of progress. On a specific occasion I was part of a panel, put together to review the latest technology briefings so we could spot the trends that would open up the future for our next ground-breaking endeavors. I remember working all day on my coast and taking the red-eye so I could make it in time for the morning meeting on the other coast. This was a summit of the cross-functional thinkers within our company, at that time. I was a newbie in this vast brain trust of engineers and had been asked at the last minute to join this consortia. What an honor. I had no idea what an impression this adventure would leave on me for years to come. I remember walking into the ballroom, set up for this meeting of the minds. I met people whose names I had read in papers and theses but never imagined I would have the opportunity to rub elbows with them. They were fascinating. They were animated and passionate about technology and the promises of the newly identified, yet unproven technologies. I was a stranger in a strange land. Most of these folks came from a deep background in electronics and radio communications. I, on the other hand, was merely a data geek with a deep focus on customer experience. The published purpose for the summit was to discuss terminals. With my background in data and data access, terminals meant something like the good old VT-100, at that time, it was the minimal standard to try when nothing else would work and you were trying to get the data to display on something. It took me awhile, maybe half the morning, to realize that wasn’t at all what we were discussing. These engineers thought of the phone as the terminal. They envisioned everything happening on the phone without any other type of human interface. They didn’t see a need for a keyboard to do input. They believed the phone could handle absolutely everything. For someone coming out of the customer support and data arena, this was a shocking new insight. I was alone in my view. These harbingers were ultimately correct in the direction the world would turn, but it wasn’t going to be a quick turn of events and in the meantime, my constituents still needed full displays with keyboards. There weren’t any phone devices with qwerty keyboards and there was no way a customer service agent was going to be able to handle calls with customers while trying to use the standard phone keyboard to do input. This discussion became a little animated and some of the comments made still make me laugh, when they pop into my memory. Many topics came and went over the next couple of days, but a few of them stuck with me. The big one was the discussion about this new fangled technology known as bluetooth. The first chip had been demonstrated at the most recent Comdex and the engineers were in love with all of the possibilities this technology could bring to the table. Couple that nifty chipset with the emerging protocols and the world would be one’s oyster. It was a very lively discussion. The kind of discussion where you can feel the change coming. Leave it to the bean counters to kill the mood. After a couple of hours of whiteboarding endless possibilities, it was the bean counters who brought about the biggest constraint to using the technology anytime in the near future. A single chip was over $350 a piece. This price was astronomical and left no possibilities for the generic consumer until the cost for production of the technology came to a more reasonable price. That was enough to drain the room of all life for the rest of the day. The idea was squashed for the remainder of the summit, but the idea never dies. Fast forward to today as I survey the collection of technological devices that litter my kitchen table and ride around in my handbag. Not only did bluetooth become mass produced, it is being mass consumed every day by millions of people. Most folks have no idea what is happening when they synch their bluetooth headset with their iphone so they can talk while they are driving, but every time I hook up my nifty little wireless keyboard, I flash back to that amazing experience over a decade ago, in a room full of visionaries and relive the fond memories. Good times indeed. Thank you bluetooth for growing up! Next Next post: Blast You 404 Error!